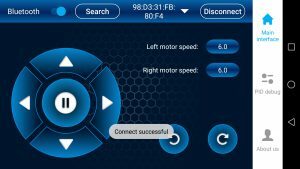 Location: Home » Uncategorized » How to Use an APP to Control the OSOYOO 2WD Balance Car Robot ? How to Use an APP to Control the OSOYOO 2WD Balance Car Robot ? 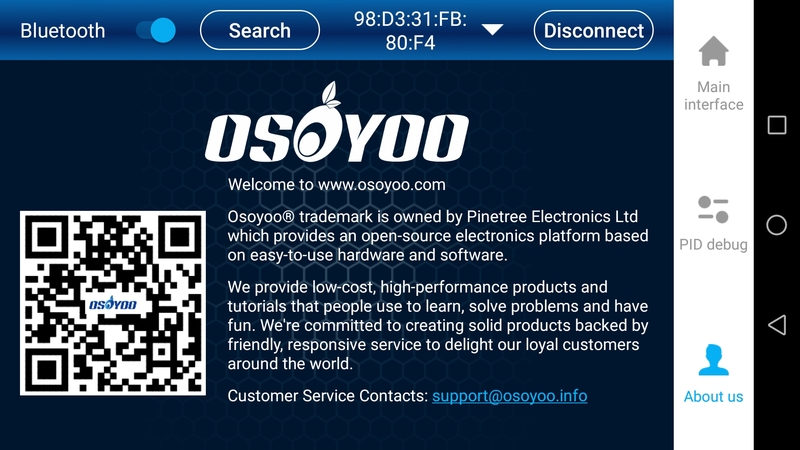 We have developed an APP for Android users that simplifies the control of the OSOYOO 2WD Balance Car Robot. We can connect the smart phone with the robot via Bluetooth, and control the robot by the Balace Car APP to drive around, rotate, debug the pid, measure the speed and so on. 4. Open the OSOYOO Balance Car app and you can see as below.If the phone does not turn on the Bluetooth function, the button next to the Bluetooth switch displays will show the dark. Click to turn it on. 5. 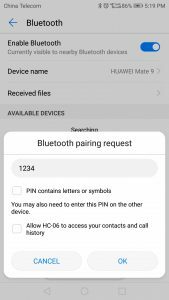 Click “Search” to search the physical address of the bluetooth module. 6. 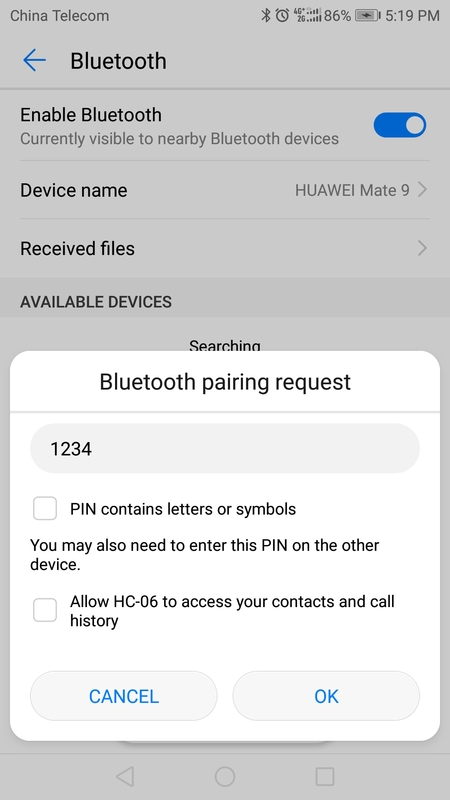 Choose the corresponding physical address for the bluetooth and click the “Connect” button. 7. 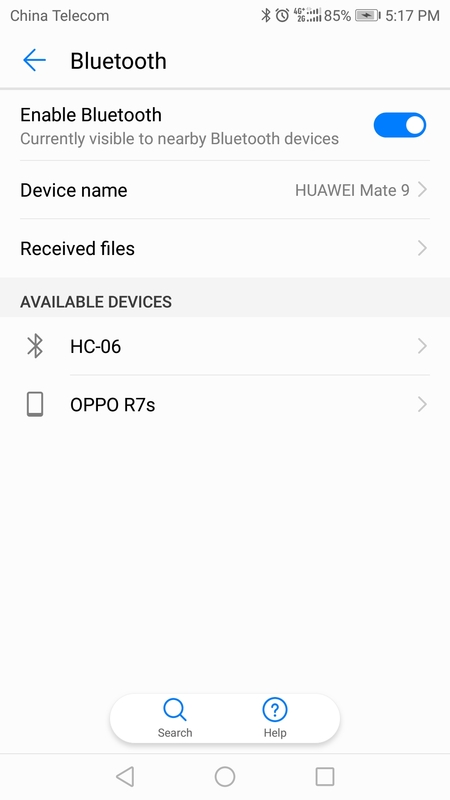 If the Bluetooth connection is successful, a prompt will appear. If the connection fails, please reconnect from the first step. Before adjusting PID parameters, you need to click “Inquire about PID”. 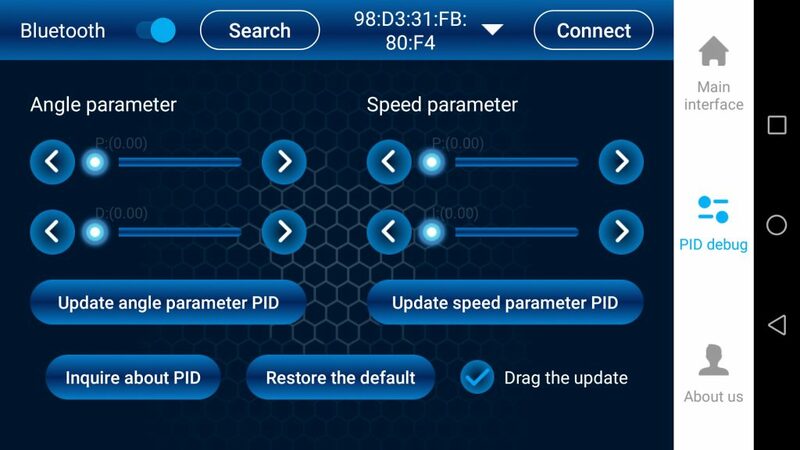 When “Drag the update” is not checked, after dragging and adjusting the PID parameter, you need to click the corresponding “Update angle parameter PID” or “Update speed parameter PID” to update the data. 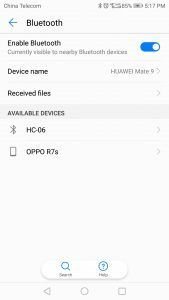 When”Drag the update” has been checked, the data will be update automatically. If the PID parameters adjustment fails, click “Restore the default” to restore the default settings. You can see some information about us as below.